Workgroup Goal: to bring the power of prayerful presence, education, documentation, and research right to the Sidewalk in front of the abortion businesses in our communities, working together to save lives, help abortion workers find better jobs, and close abortion facilities in order to end abortion in California. 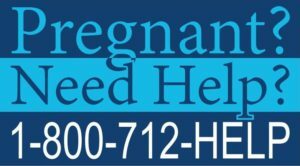 You can download our Californians for Life Sidewalk Counseling pamphlets in both English and Spanish that can be used anywhere in California to help women, provide resources, and convey the facts of fetal development. Here are the “Pregnant? Need Help?” signs, which can be ordered through Heritage House, that can be used anywhere in the country, referring clients to OptionLine.org so that women can obtain the resources and assistance they need. 40 Days for Life cities throughout California and around the world, all peacefully “Praying to End Abortion”, offering assistance to women who are considering abortion, helping them with whatever they might need so that they are better able to choose LIFE for their child, offering post-abortion healing to anyone who has been hurt by abortion, and helping abortion business workers leave the industry. Sidewalk Advocates for Life To train, equip, and support local communities across the United States and the world in “sidewalk advocacy”: to be the hands and feet of Christ, offering loving, life-affirming alternatives to all present at the abortion center, thereby eliminating demand and ending abortion. And Then There Were None Ministry to Abortion Clinic Workers, helping them leave the abortion industry to find better jobs and healing. Here is a Sidewalk Counseling Workshop video done by Wynette Sills.